Young Danes are choosing to study abroad like never before and according to the Danish Ministry of Higher Education and Science the UK is the most popular destination for Danish students. But what are the advantages of a British education, and will the UK’s endless education options remain accessible to Danish students in the light of the UK’s recent exit from the European Union? I was one of the Danes who chose to do a full degree in the UK. 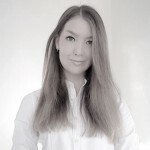 After completing a BA in international business communication at Copenhagen Business School – whilst working four years part-time in the public relations department at Danish design company Georg Jensen – I was certain that I wished to specialise in public relations. However, as the Danish master’s degrees are often quite broad, I was unable to find one specialising in this field. Therefore, there was no doubt in my mind that I wanted do to my post-graduate studies internationally. The UK was a natural choice for me as London is the international hub for a number of leading industries including the financial sector and the public relations industry, which I wish to pursue. I was born in London and had already spent four months in the city during my time at Georg Jensen. The city holds a special place in my heart and I was therefore very keen to return. Luckily, I found just the degree I was searching for here: a MA in advertising and public relations at Richmond, the American International University in London. And now, as my degree is coming to an end, I feel it has provided me with excellent practical skills and real-life experience, which I can apply when I get my first full-time job in the industry. 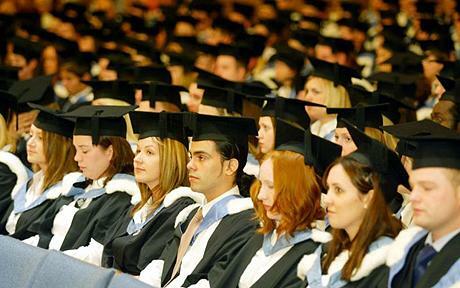 Despite being able to specialise in the particular study area of one’s choice, the UK master’s degree has a number of unique advantages. Firstly, the majority of UK master’s degrees are designed as one-year programs – unlike in Denmark where master’s degrees generally take two years to complete. The fact that the degree takes just one year provides ambitious students with the opportunity to embark on their chosen career path earlier in life. This advantage was defining for me. Being used to working simultaneously with my studies, I was eager to enter working life full-time, but I did not want to miss out on the opportunity to gain a master’s degree. With the UK’s one-year master’s I found the perfect compromise. Secondly, work experience is usually an integrated part of the British educational culture, and the internship opportunities there are endless. I truly believe that work experience is key to succeeding post-studying, and I highly recommend everyone to take this opportunity instead of, for example, doing a semester abroad. Danish students are in a great position to take advance of all the benefits that a UK degree holds. Danes generally have a strong knowledge of the English language as they are exposed to it from an early age at school and on TV. Danes’ high level of English usually impresses UK universities and makes studying in the language a smooth task. Furthermore, Danes are privileged compared to other international students as they can take with them their Danish student grant (SU), which is a tremendous help in terms of covering the UK living expenses. In light of the UK’s recent exit from the European Union, there will be those who are hesitant to apply to a UK university out of a fear of the uncertainty that lies ahead. It will be interesting to see the impact this will have on the UK as the young Danes’ number one study destination abroad. As Britain and the EU awaits the triggering of article 50 and the outcome of the following negotiations, there is still uncertainty around Brexit’s consequences for higher education. The main concern for Danish students seems to be of a financial nature. Due to EU regulations, students from within the union currently pay the same tuition fees as British students, whereas international students generally pay a significantly higher fee. Another concern seems to be regarding the possibility to stay and work in the UK post-studying. This will all depend on whether or not the UK stays within the single market, which will determinate the status of the free movement of people. However, as we will wait years for a verdict on this, the government has confirmed there will be no immediate changes for EU students studying in the UK in the next academic year (2016-2017). This means that as of now the UK universities remains open and accessible to all European students including the Danes – so hurry up fellow Danes! Carolina is a passionate public relations student currently completing an MA degree in advertising and public relations at Richmond, the American International University in London. Prior to commencing her studies in London, Carolina completed a BA degree in international business communication at Copenhagen Business School. While completing her BA Carolina worked simultaneously as part of the in-house communications team at Danish design firm Georg Jensen, a company she was with for four years. During this time she spent one semester at their New York office. Her work with Georg Jensen began in 2011 where she did her first internship at the company’s head office in London shortly after completing her upper-secondary examination at Herlufsholm boarding school in Denmark. As part of her current MA studies Carolina recently completed an internship at one of London’s most prestigious communication agencies, Bell Pottinger. During her internship Carolina worked on a number of high-profile corporate client accounts. 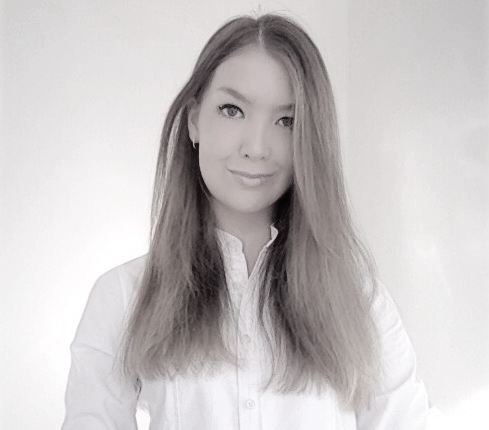 When Carolina completes her MA degree in mid-September, she plans to stay in London and further develop her career within PR and corporate communications.